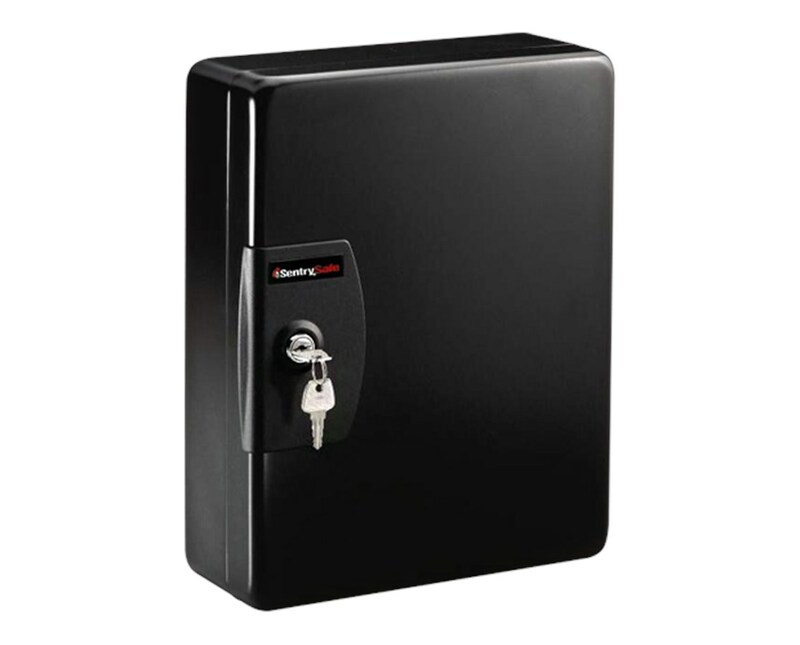 The SentrySafe Key Box is a conveniently-sized storage box to secure keys. It has color-coded tags and labels to allow quick and easy key finding and returning. It uses a privacy key lock to protect its contents and a mounting hardware to allow convenient access to items that are frequently needed. This box has a capacity of 0.13 cubic feet for the small-sized one and 0.24 cubic feet for the medium-sized and can hold up to 50 keys. 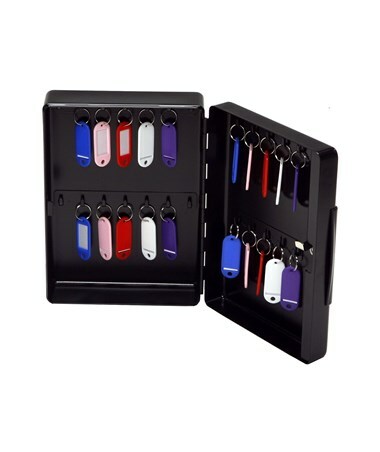 This key storage box is constructed of steel, which makes it durable. 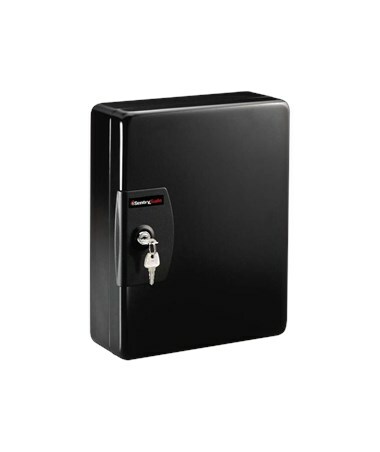 The SentrySafe Key Box has options for size. Please select your preference from the drop-down list above.